Premier Partner of BT and Partner of the Year specifically recognised for WAN expertise. In 2017, we’ve created Global / UK Enterprise presales design, proposal and architecture for large business MPLS IPVPN. Invite Techtarget.com writer Robert Sturt to your office for a free 2 hour 'Art of WAN Procurement' workshop specifically designed for the large Enterprise type of business. For large Enterprise business at the beginning of investigating service provider change, we’ve created a free 2-hour workshop covering the latest WAN procurement thinking. Outline of the latest technologies, compare MPLS to VPLS and SD-WAN services ensuring your or your team gain an understanding of VPN design to meet business needs. Provide your peers with well thought out data on the challenges of buying large business deployments of MPLS IPVPN. Learn from over 15 years experience and prevent your organisation from making the same mistakes that lead to network performance, service and support issues. We include application performance (QoS - Quality of Service), data centre design challenges, diversity and uptime, cloud, security, traffic flow, service and project management. All within a 2 to 3 hour session held at your office by techtarget.com writer Robert Sturt. We’re a Premier Partner of BT with the experience to assist your organisation with procurement of MPLS IPVPN for large business. And full access to BT Global Services connectivity. We currently account manage BT WAN services for companies with over 100 site deployments including several key Global brands. Our pre-sales workflows incorporate cloud, security, data centre, application acceleration, remote access and IP communications such as Cloud Voice. All provisioned on the very latest BT UK and Global Managed Services platform. Large Enterprise environments fundamentally require the same physical infrastructure and services as SME organisations. However, complexity is often much higher due to the nature of multiple user types, application flow, business / departmental complexity, security demands and high availability. From a technical perspective, the larger Enterprise MPLS IPVPN often spans multiple global locations with sites distributed across regions with variable connectivity options. The design of Enterprise WAN connectivity is often based on hybrid services with layer 2 metro connectivity, layer 2 Virtual Leased Lines to connect DR and datacentre nodes across the globe with IPSec and Secure clients for remote users and extranet partners. To further compound the need to consider prospective designs carefully, cloud and security run parallel along side the MPLS IPVPN network requirements. The risk of making incorrect or ill-informed decisions is magnified as your network size and complexity grows. Key concepts include Nonstop high availability services, access and mobility services, application performance and prioritisation, virtualisation, security, cloud and operational / management services. A powerful set of free resources to help IT teams begin their WAN procurement journey. Rated as excellent and created by Techtarget.com writer Robert Sturt. Step-by-step buyers checklist with every key buying areas IT teams need to know RFP Template and requirements document, ready to edit in MS Word or Apple Pages format. A free 2 hour workshop, available at your office covering The Art of WAN procurement with MPLS, VPLS and SD-WAN as core subjects. How to design for the larger business? We’ve developed a particular workflow to take into accounts the key elements which matter for large business. Our sales process is available as a download and a free step-by-step workshop held at your office across the UK. techtarget.com writer Robert Sturt will walk you through the latest technologies (SD-WAN for example) and thinking behind network design. IT teams, IT architects or Enterprise network engineers involved in IPVPN WAN provider selection for their large business. By applying our approach the net result should be that solutions become viable vs. your requirements, stability across enterprise MPLS VPN networking services, scalability, availability and flexibility to support your WAN but also Cloud and Security. As a leading Partner of BT, we’re an alternative route into BT Business for Global and UK MPLS connectivity. Used by multiple brands, we’re fast becoming recognised within the industry as a great hybrid of technical consultancy aligned with direct BT Business large Enterprise products. We’re a Premier Partner and currently BT Partner of the Year. In short, we technically account manage services under a well governed contractual agreement with BT. Any subsequent MPLS IPVPN orders (and associated managed services) are placed directly with BT - BT PLC manage, support and bill your service. There are no hidden fees or costs; we make our revenue from our BT contract. In addition to MPLS, hybrid WAN services such as layer 2 VPLS, SD-WAN, Short Haul Data Services, IPSec VPN and Ethernet VLL (Virtual Leased Lines). Companies are recognising that the Partner channel offers a more focused area of BT, a niche area with more experience, technical expertise and the focus required for large UK and global accounts. What is the large business MPLS variant / type? As a large business, you require the right product with available resources to support and align your requirements. Identification and documentation of requirements are critical to understanding how any new service will be implemented. Our early stage documentation is produced by a commercially aware Cisco CCIE. BT support includes service management, project management and technical design authority from one single joined up team via the Global NOC. A joined up approach for all areas of telecoms from the core MPLS connectivity to surrounding cloud, security and remote access. Our process begins with analysis of your existing situation to establish either the route cause of change or a list of brand new requirements for greenfield VPN access. Fundamentally, there’s a range of topics and questions to produce an initial report which will contain the basis of our early documentation. The topics featured include over 25 key vectors associated with WAN procurement - each area challenges the businesses we work with to understand where opportunities, risks and pitfalls exist. Our presales process won the BT award for Innovation back in 2015. Hybrid WAN is often at the core of most designs. While private layer 3 MPLS IPVPN may be at the core of you Enterprise network requirements, hybrid architecture is often the result once requirements are taken into account. Data centres may require layer 2 connectivity to extend LAN to LAN connectivity and DR (Disaster Recovery). In cases where your data centre locations cannot be connected via dedicated fibre (SHDS), VLL (Virtual Leased Line) pseudo-wire connectivity will bridge the gap of greater distances. Cloud applications and performance will need to be considered from the perspective of user profile and whether or not the traffic originates from the Internet (remote user) or from private based corporate connectivity. In many respects, the cloud is driving the resurgence of Internet based VPN, either based on devices such as iWAN SD-WAN or straightforward DWVPN. With the above said, cloud capability is available for private MPLS IPVPN via services such as Microsoft ExpressRoute for Azure. Examples of Cloud connectivity include thin client, CRM, voice and video. 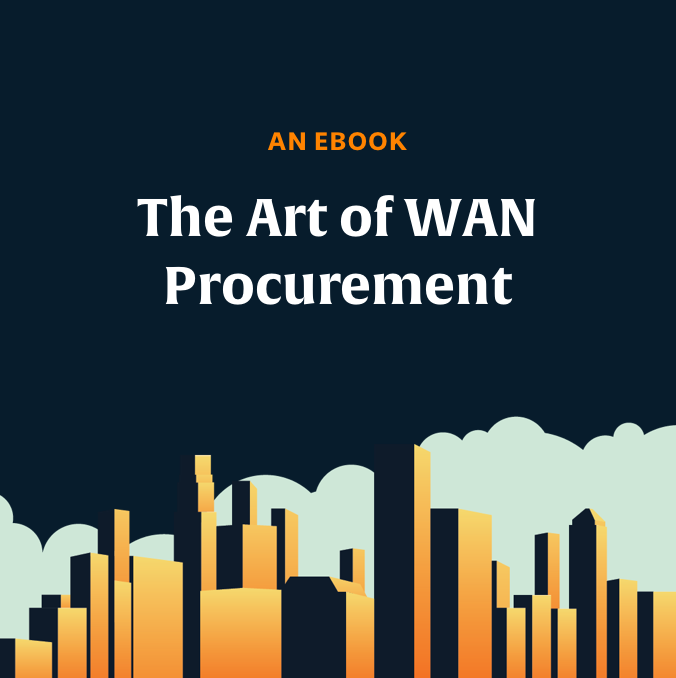 Your next steps to large WAN procurement. For any large Enterprise business, the presales element becomes intrinsically linked to the success of your WAN connectivity project. While providing simple circuit bandwidth and associated managed services is good for setting budgets, analysing your application and user flow is key to overall alignment of design vs. business enablement. Our presales workflows look at a subset of users to understand how they interact with the network from the perspective of location, resources, application type and their importance to the business. Dedicated resources which understand the end to end solution are provided in the form of technical design authority, project and service management. End to end communication between each department results in a much more focussed set of requirements. Design simplicity is another important tool. Some level of complexity is a given in large MPLS IPVPN WAN solutions, but the more logical simplicity you can create with your network infrastructure design, the better positioned your business will be able to respond to changes when network requirements occur. Managed Services offer additional support outside of IPVPN MPLS circuit connectivity. The BT product portfolio includes Cisco, Checkpoint or Palo Alto Firewall security, Cloud access including Microsoft ExpressRoute, Office 365, Managed LAN, SD-WAN, IPSec DWVPN, Hosting, DataCentre, 3G /4G fast start and failover. During organic growth or decline, you might need to add or remove portions of your infrastructure. A logically simple design will help you better understand and account for the effects these changes will have on the network as a whole. Modularity and the alignment between network simplicity and complexity critical design concepts. The type of network design for large businesses should take into account how traffic needs to flow within the company— how each user and location communications, how do you serve your customers? What applications are in use and how critical are they? Where is fast-start access needed? The correct design can make business processes simpler and improve communication within every area of your Enterprise. Large businesses must have at least a high-level understanding of your organisation processes and workflows before contemplating MPLS VPN network design. Additionally, it will help IT teams to understand whether any changes are in process or being planned/considered. Outside of MPLS, what other capabilities are offered?